Kauai is the oldest of the Hawaiian Islands and its “mana” (sacred energy) supports those who are looking for healing, renewal, transformation and personal growth. 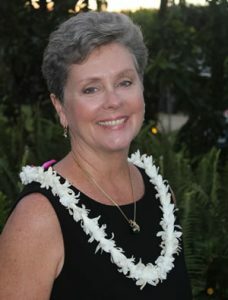 Carol Hart can help you customize a sacred Kauai retreat, designed to rejuvenate and nourish your body, heart and soul. Your sacred Kauai retreat can include as many days as you prefer and can include a variety of healing and sacred modalities and experiences. 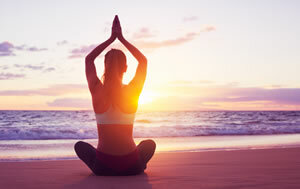 Imagine starting the day with a private, beach side Yoga session, then soaking up the beauty and power of the land, followed by a transformational Energy Medicine session. To complete your day, immerse yourself in deep relaxation and structural relief with a Mana Lomi massage. In addition to offering a variety of retreat sessions, we can also assist you in scheduling other Kauai activities to continue the “retreat mindset” for the duration of your visit to the Island. See below for more details on our Sacred Kauai Retreat experience descriptions. 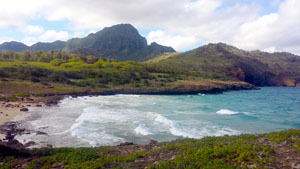 Reconnect, Awaken, Transform and Empower yourself through the experiences of a Sacred Kauai Retreat. The term “energy medicine” is derived from the ancient indigenous traditions meaning to work with the body’s wisdom and its inherent ability to heal itself. The word, “ecopsychology” comes from ecology—the organic inter-relatedness of all living beings, and our relationship with our Mother the Earth. The root word “psycho” is the Greek word for the soul—we bring the experience of growing the soul into each teaching session. The level and depth of study, participation and transformation is profound as the teachings weave together traditional methods of self-realization with contemporary issues we work with on a daily basis. Learn more about Energy Medicine and Ecopsychology here. Mana Lomi® is a traditional form of lomilomi massage that has been passed down through generations in Hawai’i, honoring the body, mind and spirit of the individual and offering unlimited possibilities in healing. Mana Lomi® literally means “the movement of energy.” When used in conjunction with the traditional form of Energy Medicine and Ecopsychology, also passed through hundreds of generations of First Nations culture, the receiver experiences healing “down to the bone,” or the soul level. 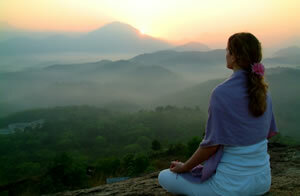 The outcome, when practitioner and client work in resonance, is peace and new ways of moving forward in one’s life. Learn more about Mana Lomi® here. Land Medicine is ceremony. “Ceremony opens us to experiencing universal consciousness, if we are ready for it and prepared. It has been held as a sacred vessel in which to be healed from trauma, history and disease. Ceremony also works to heal inter-dimentional relationships, such as our relationship with the earth and the elementals of the natural world such as the Devic Kingdom. This one example is experienced in ceremonial sacred land practices which heal our relationship with the destruction we have caused the earth by exploiting her with our arrogant attitudes and abuses. Ceremony also brings forth new potential, deeper cultural appreciation and an understanding that we are all paddling the same canoe.” Dr. Jane Ely from her soon to be released book The Return of Ceremony. The “mana” or sacred energy of the land in the Hawaiian Islands is tangible and Kauai is considered the most powerful to many. Carol will join you on an outward (onto the land) and inward (into your spirit) journey, allowing you to access your soul. While there are many places to choose from, the one pictured here, with a labyrinth beside the sea, is one of our favorites. 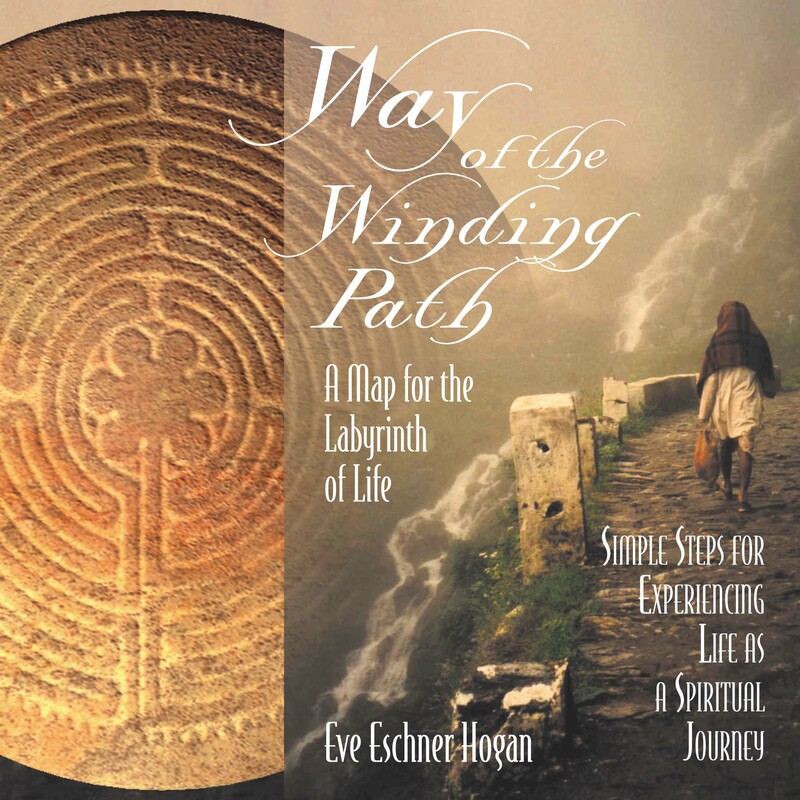 This book, written by my good friend Eve Hogan, provides historical information on the use of labyrinths throughout time as well as its use as a non-denominational path of self-discovery. The labyrinth provides the perfect experiential tool for practicing: the skills of self-observation, removing obstacles to success, gaining perspective and insight choosing appropriate action. Now, in the twenty-first century, labyrinths are being used in churches, retreat centers, community centers, schools, businesses and hospitals as a place where people can go to renew their strength and activate their creativity. By walking the pathway, they find that they are able to unwind from the stresses of their busy lifestyles and are better able to access their intuition and problem solving faculties. 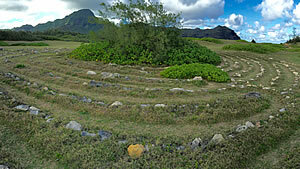 The labyrinth is a powerful tool for seeing situations from a new perspective and regaining peace of mind. Letting Go– The walk into the labyrinth is a time for self-observation and a releasing of the obstacles in your life; a quieting of the mind in preparation for reaching the center. Illumination–The center is a place of meditation and insight. Guidance is received and balance is achieved. Union– The return walk out is a time to align with the heart path for which you feel your soul reaching and bring your renewed strength and perspective back out into the world. Are you ready to create your own yoga practice? It may be that you have a ‘working’ knowledge of the postures but are looking for some guidance in constructing a flow. Or perhaps you always wanted to try a yoga class, but feel a little intimidated with the class scenario and just want to establish some basic knowledge. Our yoga session is a co-creative relationship finding its way through the structures we call asana (postures). Some postures are the classic forms while others ‘appear’ at the moment. The session will be the spring board for your ability to evolve your practice after you return home. Some 25 years ago on the Big Island of Hawaii, Hatha Yoga “found” Paul. His grounding in form and philosophy have come from the White Lotus teacher training, advanced teacher training and Thai Yoga Therapy programs. 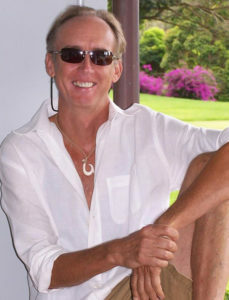 He received his certification from master teachers Ganga White and Tracey Rich and co-taught the 16-day teacher training sessions at White Lotus with fellow teacher Kent Bond before moving to Kauai in 2005. Paul’s yoga practice, teaching philosophy and innovative, intuitive ‘Eclectic Vinyasa’ style of Hatha Yoga are rooted in the knowing that we are all Unlimited Ideas and that the truly effective teachers are our ‘gurus’ within. 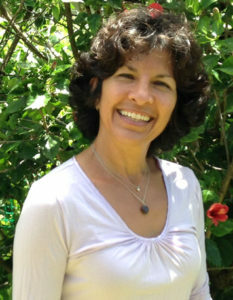 Interested in Maui Sacred Retreats?